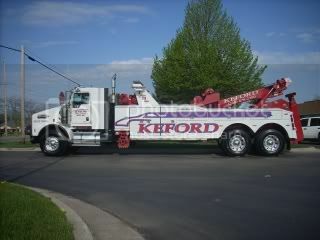 Keford Collision and Towing is a full service state of the art Towing and Body Shop Facility. We have been family owned and operated for over 50 YEARS! We are the chosen Tow Company for local Police Departments and Municipalities. We feature light, Medium, and Heavy Duty Towing and Recovery. We also hall equipment with our Landall Service, and can Transport Cargo with our Semi-Tractor. You will receive Fast, Professional, Courteous Service. Our trucks are maticulously maintained and clean. Our Body Shop is State of the Art with the latest spot welding technology and ENVIRONMENTALLY CONSCIOUS PAINT PROCESS. You will receive a WRITTEN LIFETIME WARRANTY on all Collision work. Call us today! We work with all insurance companies. YOU HAVE THE RIGHT TO HAVE YOUR CAR REPAIRED AT THE SHOP OF YOUR CHOICE. DON&apos;T BE BULLIED BY YOUR INSURANCE COMPANY, CHOOSE THE BEST, CHOOSE KEFORD COLLISION AND TOWING. Visit our Website kefordcollision.com.VOTED BEST BODY SHOP! Keford Collision is Manufacturer Certified for Nissan, Infiniti, Chrysler, Dodge, Fiat, GM Partner Shop, Kia, and Hyundai.